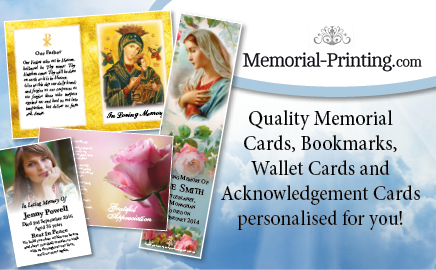 FuneralTimes has been serving the funeral industry in Ireland for over ten years, through a Trade publication for professionals and design and printing services such as Orders of Service and memorial products. FuneralTimes has provided a comprehensive online solution to make it quick and easy for funeral directors to upload death notices and for the public to find and share information on upcoming funerals. Relatives and friends can leave their own messages of condolence with the death notice and as a registered user save details into their own account to browse through anytime in the future.